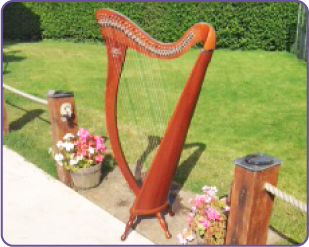 Regardless of your musical or none musical background , we recognise caring and looking after the harp is an easy task and we ensure we install and provide you with all the necessary skills and guidance needed to ensure the harp is kept in good condition at all times. 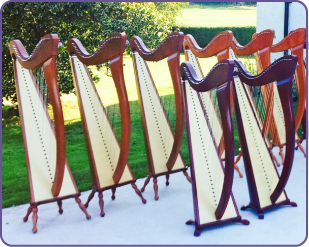 We are striving to ensure each harp and its new pupil will leave us feeling confident, armed with all the knowledge needed to simply enjoy the future delights of your rented harp! Nothing gives us greater pleasure than have the honour of providing a young or adult musician with a harp to improve their skills. These harps are recognised for their beginner’s qualities and lend themselves with great excellence and standard to take an ABRSM exam candidate up to Grade four level.